I'm not really much of a math guy - it's a wonder I can balance my checkbook. So if someone asked me to name even one famous mathematician, I'd probably be lost for words. With that said, so many unrelated people shared this story from the New York Times about Emmy Noether that I would be lax in sharing it here. I am not one to be able to speak of her accomplishments, as I don't really understand them. 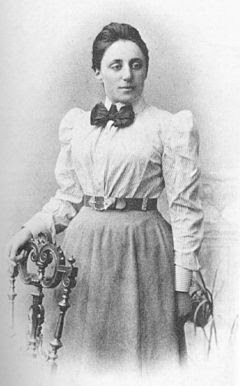 What I can tell you is that Albert Einstein considered her one of the most significant mathematicians, and her work is at the root of various mathematical and scientific theories ranging from Einstein's theory of relativity to the current search for the Higgs-Boson. Given that her heyday was back in the early 1900s, it's impressive enough that she was able to come up with so much advanced theory, never mind being a woman at that time in history - heck, the women and math stereotype still persists in 2012, and Noether was busting that up 100 years ago. Noether's someone more of us should know. Share this with the people in your life, because it really is a pretty inspiring story.